We pray you are all in good health and high iman on this blessed month that we have all been waiting for. 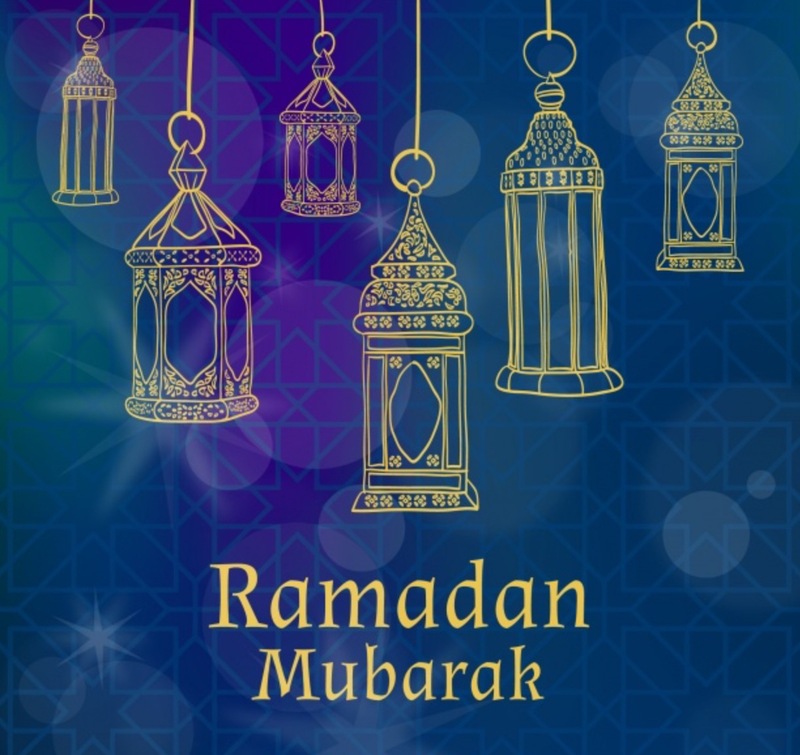 Please forgive us for a very belated Ramadan Mubarak. We have been experiencing technical problems hence the delay. Nevertheless we are back on track slowly but surely bi’ithnillah. 1. 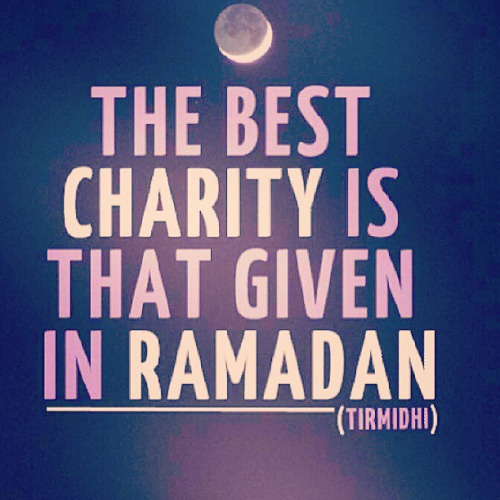 Ramadhan is a month of looking after our health -body, mind and spirit. 2. We don’t take care of what we eat then we fall ill and we complain and look for treatment. 4. Maintaining our health is an act of worship and curing ourselves is an obligation and looking after what we eat is following the sunnah of the Messenger of Allah. 5. We eat as much as possible, not as much as our bodies need. When you have a desire to eat, we continue; but we only leave the table when we have a desire of not eating – this is not good. You should leave the table while you still have the desire to eat more. 6. The most that you should have is a third of your stomach for food, a third for water and a third for air. Anything more than this is excessive. 7. We eat excessively in Ramadhan. We fast to cleanse our bodies from all sorts, but when Maghrib comes in, we eat more than what we need. It does not mean that if you miss a meal during the day that you eat twice as much when you can. You are not supposed to eat as much as possible hence people are hungrier the next day. 8. If you cannot control your intake of food, you are a slave of food. 9. To accustom the body to reduce its food intake, you need to do it gradually. If you are eating 40 morsels of food then make it 39 for the week – and you won’t notice much difference at all and the body will get use to this and produce the same amount of energy but with less intake. And then reduce it further by a morsel, like 37, 36 etc. You will find the body will produce the same energy -this is how the awliya accustomed themselves with the little amount. 10. Eating a lot causes lack of comprehension, bad memory, blocks the mind and makes you sleep more. If you eat a lot, you will drink a lot, you sleep a lot and you will miss a lot! 11. The Muslim community do not pay enough attention to water. Water is the source of life. Allah says in the Qur’an al-Kareem that He created from water everything. Our bodies are made up of around 70% water. We should have plenty of water to drink throughout the day, or if you are fasting, have plenty before and after your fast, especially in the summer. Don’t drink water all of a sudden in one go because it causes liver problems. Have a sip and increase your intake slowly. 14. Use extra virgin olive oil and vinegar in your diet. You can consume olive oil and also apply it on your body. People used to drink olive oil like water and they lived very healthy and long lives. My grandfather used to drink olive oil and he lived for 80 years and never got sick. In statistics by World Health – the best level of health in people around the world are in the Mediterranean countries like Italy -this is attributed to the olive oil. 16. Any food produced by animals has a heavy burden on your spirit where as food produced by plant is very light on the spirit. 17. In the summer if one opens his/her fast with dates, combine it with watermelon. Dates are hot foods, and having hot foods in warm weather is not the best combination. This is why the Prophet had cold water in the summer to open his fasts and dates in the winter. Watermelon is a cold and wet food that satiates the body in warm weather. Combining this with dates will be much better. You’ll feel energy flowing through you immediately. 18. Meat is the master of foods. The Prophet did not eat meat every day except when he had guests. The Shaykh said that his own diet is based on vegetables. Meat is used as an additive in meals where two thirds of a dish would be vegetables and a third would be meat. To eat meat, you need to do certain amount of exercise. This is why you have so many problems due to overeating of meat. 19. There are 4 types of natures: hot, cold, dry and wet. Knowing your nature is the key to knowing what you should eat. If you are of hot nature for example, hot foods (spicy) will not be good for you. There should be a balance. 20. Allah created fruits to be eaten at certain times of the year. You should not be eating exotic fruits from different countries. It is better you eat local grown fruits of the season. For example you should eat dates in the winter because dates are hot foods. In the summer you should have dates with watermelon -balancing both hot and cold. 21. People who are lactose intolerant can mix milk with a few (3) dates and leave it for a day -this makes the milk lactose free. 22. People who have problems with yoghurt, should mix some peppermint with it. It will settle the stomach and help with digestion. 23. Too much saffron causes pain in the knees. 24. Protect your health, protect your sanity and have the Messenger of Allah as your guide and remember him in your meals. Notes shared by a dear sister, please keep her and her family in your duas. Take advantage…pray and keep praying…. We pray you are all doing great during these first few days of this blessed month, we have already prayed Janaza on people these last few days, and literally not long ago we have received news of a sister who has just lost her mother…May Allah grant all of those who have left us ease in the grave and Firdaws Ameen. We share these stories because we have been fortunate enough to fast another day…take advantage oh Muslims. Soon we will be joining them. the month filled with amazing blessings is now upon us. Alhamdulillah we are all very fortunate to be alive to witness the first taraweeh. May this be the beginning of something special for us all. 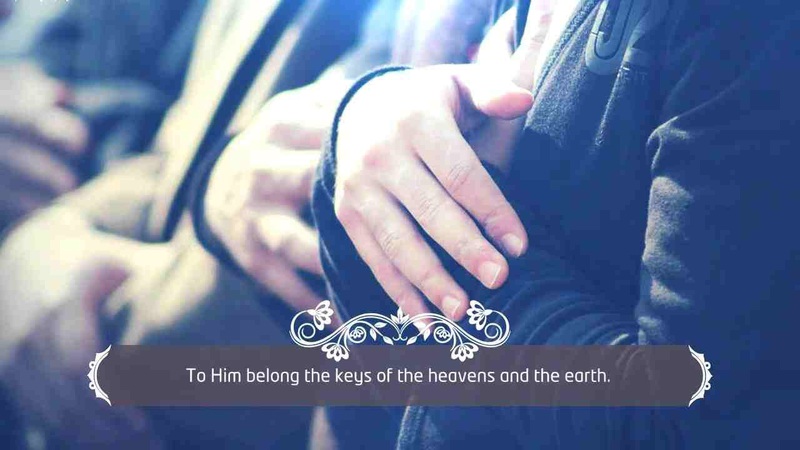 May we work hard to build our akhira and earn the mercy and forgiveness of Ar.Rahman. Ameeeeeen! We we will be posting a video everyday – gems of Ramadan and tafsir of each juzz. These videos help capture the day and allow us to prepare for the next. Keep us in your duahs, and remember there will be those who will not be having a pleasant Ramadan as their Iftar will be in a prison cell, war zone, and for some poverty stricken situation means Iftar never comes. Ya Rabb forgive us for our shortcomings and accept the duahs we make for our brethren, Ameen. 8 Top Tips To Help You…. Asalamu’alaykum with sha’ban being a few days away….last few tips to help you prepare for Ramadan inshallah. Enjoy! 1⃣Repent to Allah – get in the habit of repenting and shed of as much sins as possible before you enter the Month of Mercy. 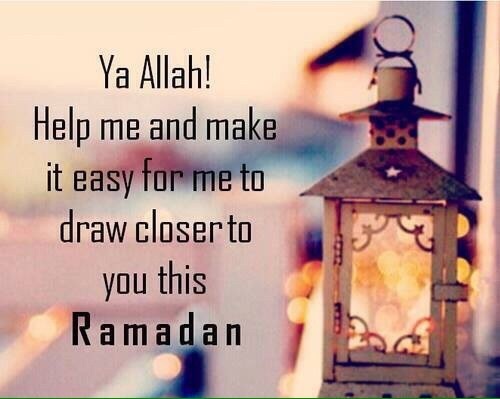 2⃣Make dua to reach Ramadan. It is narrated that many of the pious predecessors would start making dua 6 months before Ramadan, so they live to see the month. 3⃣Finish any obligitory fasts you have to make up from previous year. 4⃣Finish time consuming tasks before Ramadan to free up valuable time from your schedule. Example: Car maintenance, medical appointments, Eid shopping etc. 5⃣Fast some of the month of Sha’ban (starting in 2-3 days). 6⃣Get into a regular habit of reading Quran. 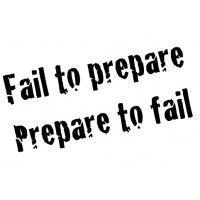 7⃣Set your goals and prepare a timetable that allows you to reach those goals. 8⃣Learn all the relevant rulings about fasting so you can worship Allah with confidence.